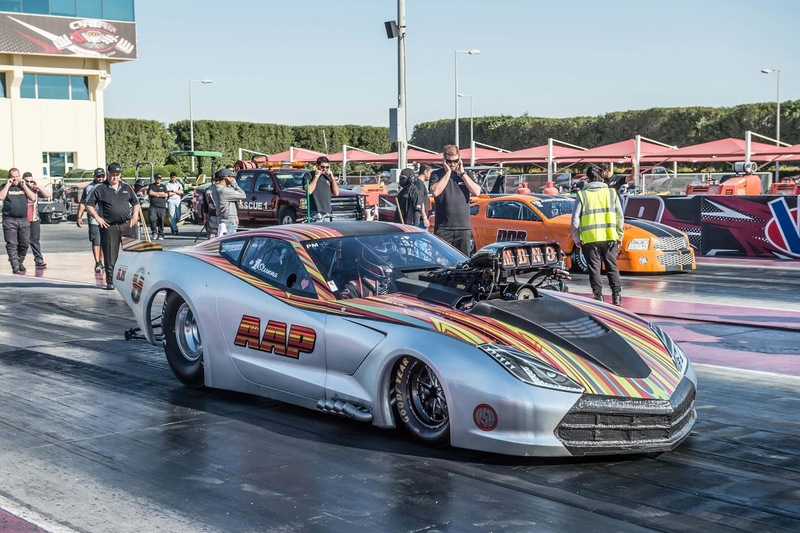 Qatar based Al-Anabi Performance has been named the presenting sponsor for the E3 Spark Plugs NHRA Pro Mod Drag Racing Series presented by J&A Service portion of this weekend’s Chevrolet Performance U.S. Nationals at Lucas Oil Raceway at Indianapolis. Al-Anabi Performance has been named the presenting sponsor for the E3 Spark Plugs NHRA Pro Mod Drag Racing Series presented by J&A Service portion of this weekend’s Chevrolet Performance U.S. Nationals at Lucas Oil Raceway at Indianapolis. It is the eighth of 12 races during the 2018 E3 Spark Plugs Pro Mod Drag Racing Series season. In Indy, the E3 Spark Plugs NHRA Pro Mod Drag Racing Series presented by J&A Service will perform on drag racing’s grandest stage, as the Big Go will put the talented drivers in the ultimate spotlight. An ultra-skilled roster of more than 30 standouts will provide huge thrills in Indy, as the class offers something unique for every kind of hot-rodding enthusiast. It is highlighted by historic muscle cars like the ’67 Mustang, ’68 Firebird and ’69 Camaro, as well as a variety of late model American muscle cars. Producing more than 3,000 horsepower, the suspended door pro mod cars travel the quarter-mile in less than six seconds at speeds of more than 250 mph. Al-Anabi Performance designs and manufactures high-performing components for the worldwide drag racing community, working closely with several top teams in the NHRA Pro Mod class. At Indy, Al-Anabi Performance is sponsoring class standouts Mike Castellana, who is fourth in points, Richmond winner Mike Janis, who is second in points, and veterans Todd Tutterow and Richie Stevens. The 2018 E3 Spark Plugs NHRA Pro Mod Drag Racing Series presented by J&A Service is showcased in a 12-race schedule that includes stops at NHRA national events across the country. Three-time world champ Rickie Smith is the current points leader after picking up his third win of 2018 at the most recent event in Norwalk. Other top names in the class include Stevie “Fast” Jackson, Charlotte winner Jose Gonzalez, Bristol winner Khalid alBalooshi, Houston winner Jim Whiteley and class newcomer Chad Green. All 12 races during the 2018 season will air on FOX Sports 1 (FS1) and FOX Sports 2 (FS2).